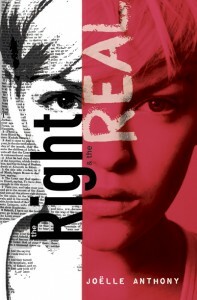 The Victoria Children’s Literature Roundtable presents Teen Night with author Joelle Anthony. Joelle’s two novels, Restoring Harmony and The Right and the Real, feature feisty heroines, lively plots, and page-turning action. Joelle currently lives on a tiny island in British Columbia with her musician husband Victor Anthony, and their cat, Miss Marley. As for the future, their plan is to avoid real jobs, write and play guitar in front of the wood stove, and live happily ever after.